Institutional traders are seeking greater control of their interactions with dark pools given the increasing prevalence of high-frequency trading in these types of venues. Institutional traders are in a bind as the number of trading venues where they can execute orders without the fear of interacting with high-frequency traders has dwindled over the past few years. The dominance of high-frequency traders has lead a major exodus from the displayed US equities market to broker-run dark liquidity pools and other off-exchange trading mechanisms like order internalisation. According to recent research by Rosenblatt Securities and industry research firm TABB Group, the US equities market trades approximately 13% of its volume on broker-run dark liquidity pools. Experts like Justin Schack, partner and managing director at Rosenblatt Securities, has seen the overall market share of dark liquidity pools rise from 6.55% in 2008, just after the adoption of Regulation NMS and the introduction of its Trade Reporting Facility - a source of off-exchange trading data - to 13.36% at the end of 2012. Over that time, brokers have made major changes in how they run and source liquidity for their dark liquidity pools. "From 2007 to 2010, saw broker-dealers routing every order within their four walls - prop desk, high-touch, algos and principal facilitation - to their dark liquidity pools," says Schack. However, after the financial crisis of 2008, operators began to look for external sources of liquidity like market-making, high-frequency and retail order flow and became much more conservative in using their balance sheets to provide liquidity. Soon, traders like Sal Arnuk, partner and co-founder of Themis Trading, began seeing dark liquidity pool executions taking place away from the midpoint price and adversely affecting the displayed market price. The dark liquidity pools were not dark enough. 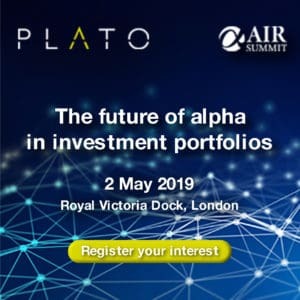 Arnuk attributes this to the presence of the high-frequency traders who use their 100- or 200-share orders in dark pools for volume discovery. "In 2012, there was a ramp up of streaming liquidity providers on to dark liquidity pools where they benefited from maker-taker pricing, rebates and free fill," he says. In response, Institutional traders initially changed the minimum fill-size of their order from a few hundred shares, which a high-frequency trader could interact easily, to 1,000 or 2,000 shares in hope that they would interact with other natural institutional orders. Some dark liquidity pool operators responded to this change in order size by introducing 'order bunching', where they would aggregate a series of smaller orders to create the other half of an institutional trade. In theory, an institutional trade could interact with four or five high-frequency traders on a 2,000-share trade instead of a single high-frequency trader in a 200-share trade. Yet, this practice is not as nefarious as it sounds, argues Cheyenne Morgan, an analyst at TABB Group. "Broker-dealers are doing everything they can to aggregate liquidity to match up against any block orders. These smaller orders may or may not include orders from high-frequency traders depending on the venue." If too many institutional clients feel that they are being gamed in a certain dark liquidity pool, they will avoid routing orders to that toxic pool, she explains. "Many broker-dealers are doing everything to prevent that type of market impact and information leakage by implementing strict surveillance measures." One such broker-dealer is Barclays, which has introduced a new surveillance framework for its LX dark liquidity pool at the start of 2012. The dark pool operator allows a variety of liquidity providers to participate on the LX platform and firm officials are not concerned about the type of liquidity provider they are. "It's about whether they add a benefit and what is their overall trading profile," explains William White, the head of global electronic trading at Barclays. "If they're sending a million orders with limited executions, they are not adding a great deal of value." Rather than bunching orders to improve matching performance, which Barclays does not do on LX, the platform's users can select which of the six trading profiles with which they would like to interact. These profiles range from the most passive liquidity on LX to the most aggressive. Barclays further protects clients from information leakage by not sending out indications of interest (IOIs) to other dark liquidity venues, adds White. These approaches have paid off for Barclays, which now ranks as the second largest dark liquidity pool according to the January 2012 TABB Group Liquidity Matrix - a monthly liquidity and pricing report for US equities exchanges, electronic communications networks, dark liquidity pools and crossing networks. 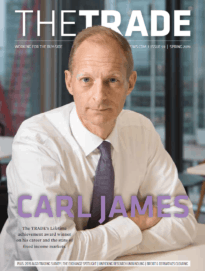 According to the report, Barclays' LX traded 91 million shares, or 10% of dark volumes, last month, behind Credit Suisse's Crossfinder, which traded 121 million shares (18%). The greatest tool for protecting institutional orders in dark liquidity pools is simple education on how the broker-dealers operate their dark liquidity pools as well as which firms and trading strategies they permit on their platforms. "This is why the buy-side needs to be on top of these practices and asking broker-dealers for their routing and execution data," says Rosenblatt's Schack. "High-frequency traders exist and buy-side traders deal with them on a daily basis," adds TABB Group's Morgan. "They're part of the market and the many traders have accepted the need to learn to trade around them."